File photo of street preacher Art Pawlowski. 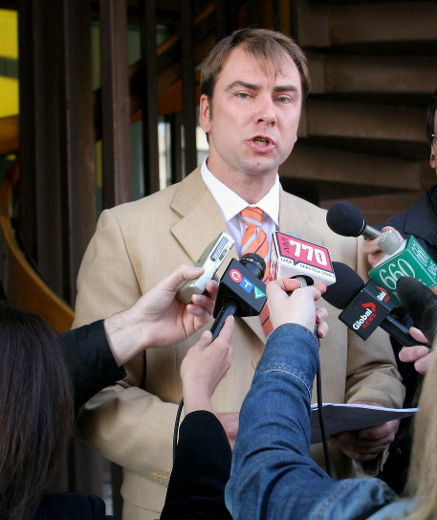 After crashing the Stampede parade last year, a controversial street preacher is hoping an injunction against his ministry is dropped. With Wednesday’s injunction application banning preacher Art Pawlowski and his flock from participating in the annual parade adjourned until next week, both sides are in discussions to find some common ground. Pawlowski said the ongoing struggle with parade officials for he and his Street Church Ministries’ followers is about equality. “We want to be treated like everyone else,” Pawlowski said. “Some people are offended by the name Jesus but he and his group just want the same freedom afforded to other groups and religions. Pawlowski’s lawyer Michael Bates said he’s hoping for a resolution. “We are pleased we are having discussions to see if there are ways of coming to a resolution so no one comes back to court,” he said. Pawlowski’s preaching style has stirred up no shortage of controversy over the years. He has been arrested and ticketed for handing out pamphlets in city hall, preaching outdoors with loudspeakers and feeding homeless people in parks. arguing freedom of expression and religion as well as his Constitutional rights were violated. 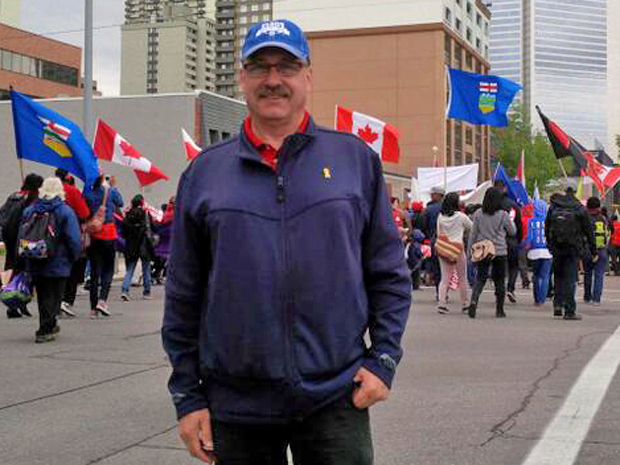 Last year, just as Stampede parade marshal Ian Tyson was set to get the procession rolling, Pawlowski and his followers took the lead in the parade despite not being invited. In 2011, a Court of Queen’s Bench judge tossed out an application by the Calgary Stampede board to prevent street ministries from protesting along the parade route and at the grounds. The Stampede said it pursued the injunction given safety concerns for spectators and participants as well as fear a demonstration could tarnish Stampede’s reputation, it said. David Steele, acting for the Stampede declined to comment.